The Shetland Islands sit where the North Atlantic Ocean and the North Sea meet, closer to the Arctic Circle than to London. Over the centuries they have been a vital staging post for Vikings, Hanseatic traders and merchant sailors from faraway lands. Yet somehow, the same islands remain off the map of British consciousness. Ron McMillan spent weeks on the unbeaten Shetland tourist path, braving the weathers to explore scenic landmarks, archaeological treasure troves and remote islands so under populated that for centuries they have lived with the threat of abandonment. 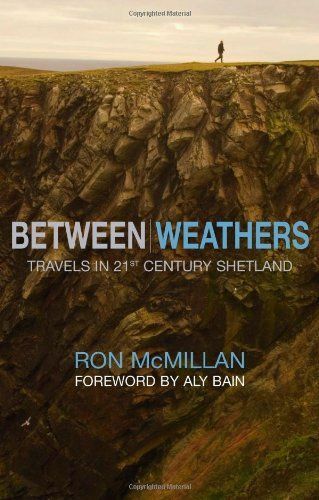 A travel writer for more than twenty years, McMillan cast an inquisitive and witty eye over present-day Shetland to interweave the Islands history, archaeology and 400-million-year-old geology with observations of a remarkably hospitable society that remains intricately connected to the outside world. His warm and generous narrative is the first original Shetland travelogue since 1869.